With world class instruction from some of the greatest players in both box lacrosse and field lacrosse, programming cultivates an interest and passion for the sport of and breads sound fundamental skills in a fun, energizing and engaged environment. Clinic is open to boys and girls interested in trying lacrosse. 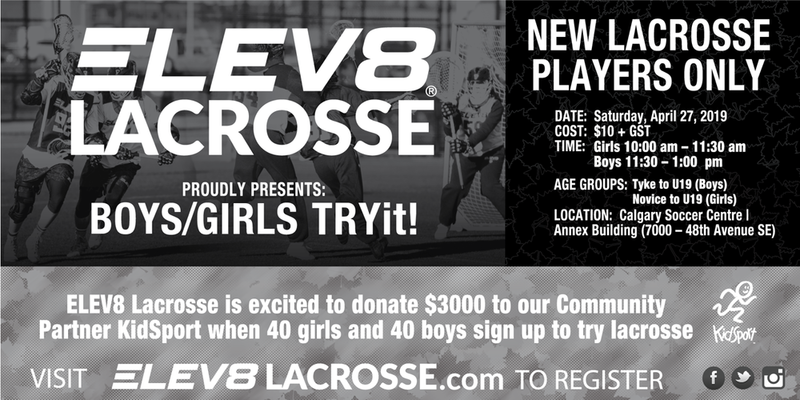 ELEV8 Lacrosse is excited to donate $3000 to our Community Partner KidSport when 40 girls and 40 boys sign up to ELEV8 TRYit.